Your business growth requires a sounding board - Brilliant Breakthroughs, Inc.
Do you have a sounding board to support your business’s growth? Do you have a sounding board to support You and Your Business’s Growth? If not, it’s time to find one! Often, I have Small Business Owners tell me how lonely they are doing their job. At times they may be isolated for a days or even weeks. Sometimes I hear how they don’t have a person to share what’s happening in the business, their professional development challenges, or someone to kick around some ideas. A sounding board isn’t necessarily your regular business coach. Good coaches keep you on task toward your desired outcomes. They help you stay on your path of achievement. Whereas a sounding board is someone you can do some brainstorming with on a particular topic. The topic could be as broad as Business Success or it could be one specific topic. The key for effectiveness is that your sounding board is open-minded and has enough wisdom or experience to dive into your particular topic/s. Yesterday, I had a person in my office. We spent the better part of the day defining and refining his business model. This isn’t the first time I’ve done this for Small Business Owners, but this is the first time I did it with a person of over 20 years tenure within their expertise! In this case we unpacked his IP (Intellectual Property) to create a new product and essentially new business model for his business. As we picked apart what he does to serve his clients, we started to notice a new process wanted to emerge. This process was the universal and foundational process to everything he does with clients. We created, refined, and continuously tested it until it was comprehensive, simplified, and universal to for all his clients. We determined and tested where it fits into his overall business model. Heck we even created a framework for his clients. I must say it’s pretty slick, simplified, and user-friendly! I had fun helping him create this new visual for his clients to use. This clients walked out with a new simplified business model, purpose, and universal process to serve his customers. What made this even sweeter? It helped him gain the clarity of how to differentiate his business in the marketplace while re-positioning their services as a critical need for businesses. Additionally, it brought clarity and fortified his marketing and sales strategies and process. 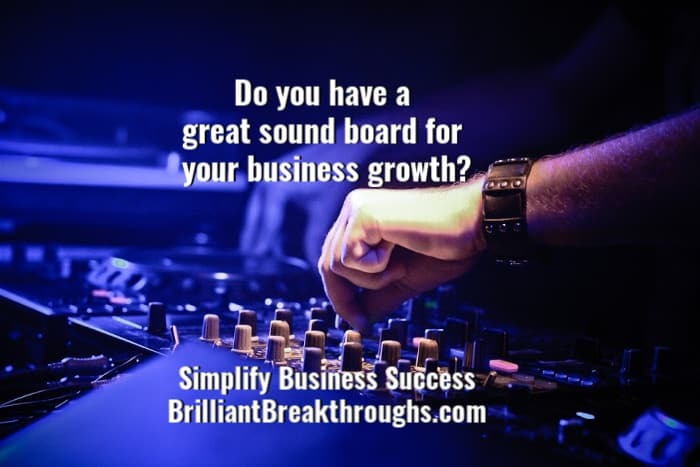 Do you need a business growth sounding board? Yes! It isn’t best to go solo! Why? We get caught up on our own thought process and can’t move beyond it. Are you snagged? A good sounding board can help you unpack or unfold your idea. They can also help you notice different ways to see your topic. When I do this work with Small Business Owners, we’re very interactive. I’m continuously asking questions and sharing insights. Why? We need to verify it’s beneficial to improve the profitability of the business, customer application, and how to position it in his marketplace. 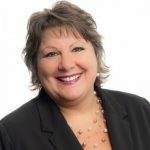 When you have someone who can guide you through a process like this, you are able to uncover your brilliance and position it to support significant business growth. Effective sounding boards only have one agenda – to help you shine brighter! This is a different type of conversation from the typical business coaching process. It’s a one-off conversation and/or process. Everyone always asks, “How much time does this take?” It takes as much dedicated time as it needs for you to unearth and formulate what wants to emerge. Smaller items require less than time then larger items such as new creating an offering or business model. NOTE: To do this effectively and efficiently, it is best to have uninterrupted and dedicated time to work through this. Think of a half or full day intensive and you’re on the right track! REMEMBER: Have a quiet environment with plenty of water and food to fuel you! A fresh flip-chart or big magical whiteboard is a big plus! Take oodles of note and photos. Dare I share, “This is a very fun and inspiring process!” Is it challenging? Yes. Is it looking at your business with fresh perspectives to create new possibilities? Yes! Will it create more work to take back to work and tinker as you implement it into your business? Yes. Here’s the Bonus: Your work shifts to guided work because you have a newfound purpose, with direction and a destination. Finding a great sounding board will guide you to Right Thoughts and Right Actions to improve YOUR Business’s Success Rate. Feel free to share what topic or topics YOUR Business needs a sounding board moment on this year. (I’m already knee deep in mine – revamping my offerings to create a new business model.) What’s yours?